Chester Floyd Carlson was an American physicist who invented xerography (22 Oct 1938), an electrostatic dry-copying process that found applications ranging from office copying to reproducing out-of-print books. The process involved sensitizing a photoconductive surface to light by giving it an electrostatic charge Carlson developed it between 1934 and 1938, and initially described it as electrophotography It was immediately protected by Carlson with an impenetrable web of patents, though it was not until 1944 that he was able to obtain funding for further development. In 1947 he sold the commercial rights for his invention to the Haloid Company, a small manufacturer of photographic paper (which later became the Xerox Corporation). Born 8 Feb 1897; died 25 May 1972 at age 75. American psychiatrist and educator who developed the Austrian psychologist Alfred Adler's system of individual psychology into a pragmatic method for understanding the purposes of reprehensible behaviour in children and for stimulating cooperative behaviour without punishment or reward. Born 8 Feb 1886; died 23 Jan 1961 at age 74. Born 8 Feb 1868; died 27 Aug 1937 at age 69. Dear Lord Rothschild: Birds, Butterflies and History, by Miriam Rothschild. - book suggestion. Born 8 Feb 1866; died 12 Feb 1947 at age 81. Russian-born American chemist who initiated the study of free radicals in chemistry when in 1900 he prepared the first authentic one, triphenylmethyl. Organic free radicals are essential to body functioning as well as being implicated in aging and diseases. Also, they play a major role in the production of plastics and other widely used synthetic materials. Organic free radicals contain a form of carbon with an unpaired electron which allows the radical to react readily with another molecule. Until Gomberg synthesized triphenylmethyl, free radicals containing carbon had been thought not to exist. Gomberg's discovery led to modern theories of the structure and reactivity of organic molecules, and led to the development of an entire field of research. Henry Walter Bates was an English naturalist and explorer whose demonstration of the operation of natural selection in animal mimicry (the imitation by a species of other life forms or inanimate objects), published in 1861, gave firm support to Charles Darwin's theory of evolution. He and Alfred Russel Wallace left England in 1842 to explore and collect insects in the Amazon basin. Bates spent 11 years in Amazonia amassing large collections of insects that were sent back to museums and collectors in Europe. Bates was quick to embrace Darwin's and Wallace's theory of evolution by natural selection. Bates' own theory of mimicry, which now bears his name (Batesian mimicry), provided evidence for evolution by natural selection. Born 8 Feb 1825; died 14 Apr 1882 at age 57. German chemist considered to be the originator of the widely used analytic technique of paper chromatography. In the course of his research on synthetic dyes, he isolated and named several important components of coal-tar oil, among them carbolic acid (1934, now called phenol), pyrrole, rosolic acid (aurin), and cyanol (aniline). He did not analyze any of these compounds, however. In 1850, Runge published the first systematic study of chromatography: concentric circles of different coloured substances diffused through paper. He also noted the ability of belladonna to induce long-lasting dilation of the pupil of the eye (mydriasis), and he developed a process for obtaining sugar from beet juice. He investigated dry distillation and the composition of matter. Swiss-born British geologist and meteorologist whose theoretical work was influential on 19th-century writing about meteorology. Deluc was educated in mathematics and the natural sciences. While a businessman in Switzerland during the first half of his life, during his travels, he collected mineral and plant specimens in the Alps. 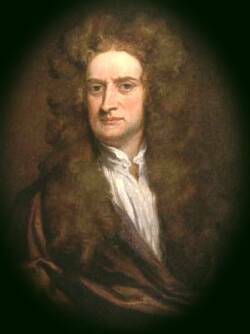 A commercial failure in 1773 induced him to emigrate to England and devote himself to science, his long-time avocation. He held the doctrine of catastrophism to explain present geological formations, opposing the view that present processes have acted continuously during past ages. Born 8 Feb 1630; died 26 Jan 1721 at age 90. French scholar, antiquary, scientist, and bishop whose incisive skepticism, particularly as embodied in his cogent attacks on René Descartes, greatly influenced contemporary philosophers. Huet wrote a number of philosophical works that asserted the fallibility of human reason in addition to scientific work in the fields of astronomy, anatomy, and mathematics. Died 8 Feb 1983 at age 65 (born 29 Jul 1917). Died 8 Feb 1972 at age 63 (born 18 Aug 1908). German psychiatrist who attempted to correlate body build and physical constitution with personality characteristics and mental illness. Kretschmer analyzed over 4,000 criminal cases using his 3 body type model: (1) leptosome or asthenic [tall and thin], (2) athletic [well developed muscles], and (3) pyknic [short and fat]. His conclusion was that were is a greater number of violent criminals who correspond to the athletic type, while the asthenic are more likely to be involved in petty theft and fraud. Finally, Kretschmer found that the pyknic tended toward crimes involving deception and fraud but were also sometimes involved in violent crimes. Walther Wilhelm Georg Franz Bothe was a German physicist who developed the coincidence method of detecting the emission of electrons by x-rays in which electrons passing through two adjacent Geiger tubes at almost the same time are registered as a coincidental event. He used it to show that momentum and energy are conserved at the atomic level. In 1929 he applied the method to the study of cosmic rays and was able to show that they consisted of massive particles rather than photons. This research brought him a share (with Max Born) in the Nobel Prize for 1954. In 1930, he observed a strange radiation emitted from beryllium when it was exposed to alpha particles, later identified by Chadwick as consisting of neutrons. He built Germany's first cyclotron (1943). Died 8 Feb 1946 at age 78 (born 21 Jan 1868). Died 8 Feb 1926 at age 64 (born 8 Aug 1861). Mutual Aid: A Factor of Evolution, by Peter Kropotkin. - book suggestion. Died 8 Feb 1919 at age 94 (born 9 Jul 1824). Died 8 Feb 1907 at age 52 (born 24 Oct 1854). Died 8 Feb 1884 at age 76 (born 28 Sep 1807). Died 8 Feb 1878 at age 83 (born 15 Aug 1794). Died 8 Feb 1877 at age 78 (born 3 Apr 1798). Died 8 Feb 1835 at age 57 (born 5 Oct 1777). French surgeon and pathologist, noted as diagnostician, lecturer, and surgeon; best known for his development of surgical procedures for alleviating "Dupuytren's contracture" (1832), in which fibrosis of deep tissues of the palm causes permanent retraction of one or more fingers. He wrote about congenital dislocation of the hip, the nature of callus formation, subungal exostosis, the Trendelenburg sign, tenotomy in torticollis, differentiated osteosarcoma from "spina ventosa", and a treatise on gunshot wounds. Dupuytren was not an original investigator in surgical subjects, but he was an excellent observer and a great worker, who knew how to adopt and adapt others' ideas very practically. He founded the chair of pathological anatomy at the Univ. of Paris. First giant panda living in U.S. In 1928, John Logie Baird’s transmission of a TV image was received across the Atlantic ocean using short wave radio, from station 2 KZ at Purley, England to Hartsdale, NY. Though imperfect, an image showed the face of Mrs. Mia Howe. Baird's system was electromechanical: a light sensitive camera behind a rotating disc. The picture was crudely formed from a scan of thirty lines at twelve frames per second. The television receiver displayed a tiny, uneven image. This caused a sensation. The New York Times compared the event to Marconi’s sending of the letter “S” by radio across the Atlantic, 27 years earlier. In 1898, the first envelope folding and gumming machine recieved patent No. 598,716. John Ames Sherman of Worcester, Mass., had designed a "mechanism for folding and sealing envelopes, which reduced the manufacturing cost per thousand from 60 cents to 8 cents. In 1883, Louis Waterman began experimenting with ideas that would lead to the invention of the fountain pen. In 1802, Simon Willard, of Grafton, Massachusetts, patented his eight-day “Improved Timepiece,” a wall clock that came to be known as the “banjo clock.” With the advent of the Revolutionary War and subsequent problems with Great Britain on the high seas, imports had been curtailed and for the next sixty years brass and spring steel were scarce and expensive. There was need for a small inexpensive clock that could be purchased by the less affluent citizens of the new democracy. Willard recognized this need when he invented his clock. Subsequently, the early 19th century became the era of industrialization, and clockmaking, like so many other crafts, became a mechanized industry.